Cheers! 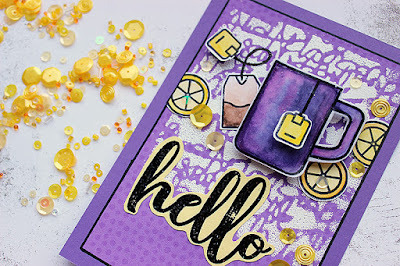 How about a cuppa tea? 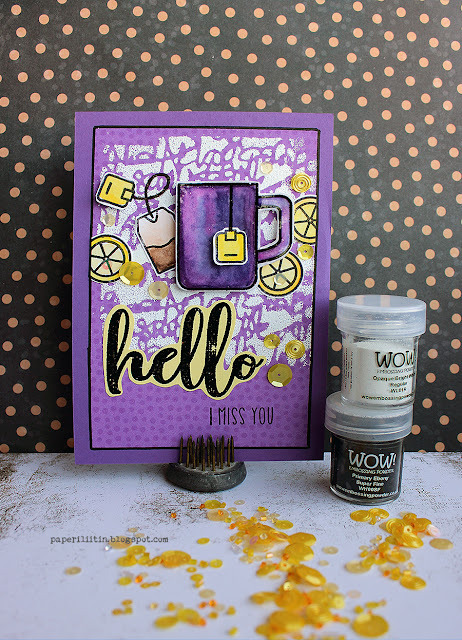 Yesterday I mentioned sharing two cards using Wow and Honey Bee together. 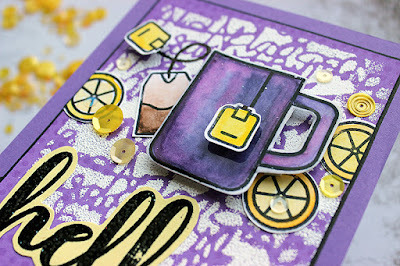 Yesterday I shared a shaker card, like the one I did for the blog hop (link) but using the same stamp set as in this card. When I saw the "Tea Time" set I just fell in love as I'm a total tea addict! In this card I used embossing powder to make the background. I used a script stencil and inked the background through it and then coated it with embossing powder. The big text "hello" is also done using the embossing powder and then I also coated the cup. 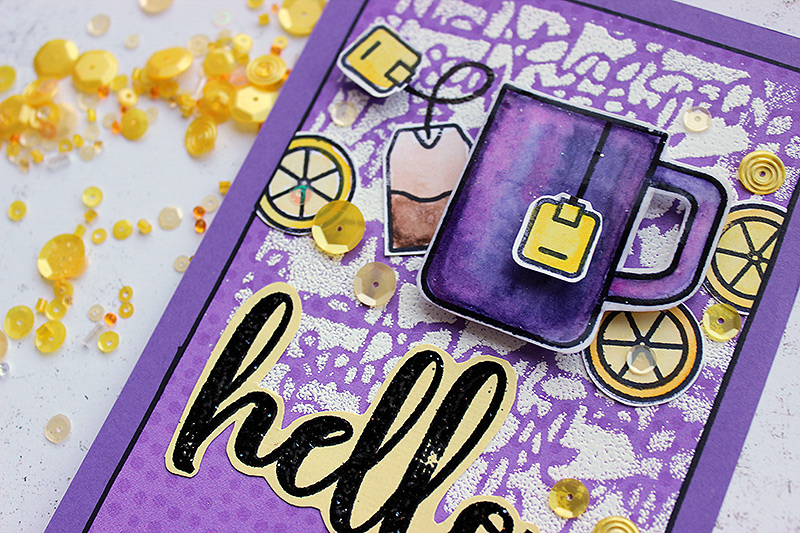 I embossed the cup total of three times to give it a nice, glossy coat! Thank you for your visit! Have a great Saturday!